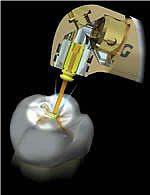 Heat, vibration and pressure are the primary causes of pain associated with the use of the traditional dental drill. Since cutting both hard and soft tissues (teeth and gums) with the WaterLase iPlus does not generate heat, vibration or pressure, many dental procedures can be performed pain-free with fewer shots, less need for anesthesia, less use of the drill and fewer numb lips! 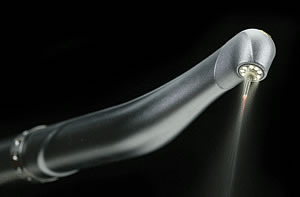 Additionally, using the WaterLase iPlus for gum procedures reduces bleeding, post-operative pain, swelling and the need for pain medication in many cases. Click Here to find out more on Waterlase iPlus.